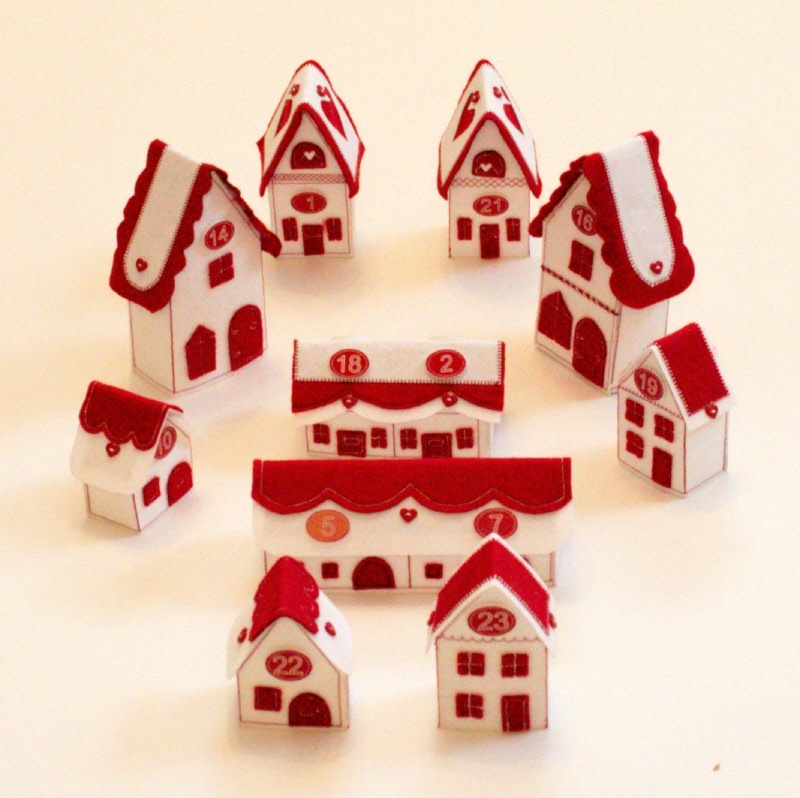 What an adorable little three dimensional advent village designed by Sue Rhodes. The little Scandanvian inspired village gives you 10 little houses to make and they are hollow to hide an advent treat. The buttons have been especially designed to compliment the houses and there are 24 in the kit along with heart buttons, vilene, felt and the pattern with full instructions. The houses range in size from 4 1/2 down to 1 1/2 inches.